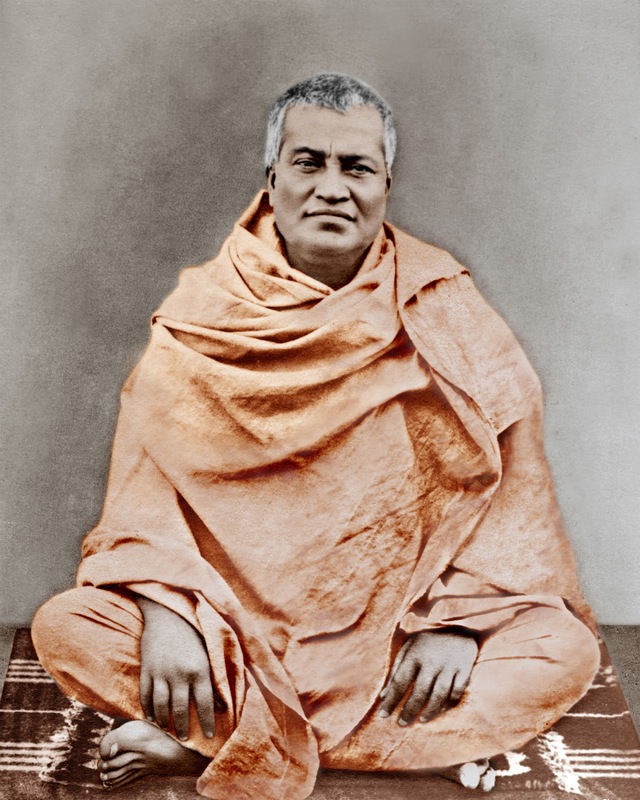 Swami Shivananda is one of the prominent disciples of Sri Ramakrishna and the second President of Ramakrishna Order. Even as a child I had an inherent tendency towards spiritual life and an innate consciousness that enjoyment was not the object of life. As I grow older and my knowledge increased, these two ideas took a firmer hold on my mind. I went about the city of Calcutta seeking knowledge of God among its various religious societies and temples. But I could not find real satisfaction anywhere: none of them emphasized the beauty of renunciation nor could I discover a single man among them who was possessed of true spiritual wisdom. 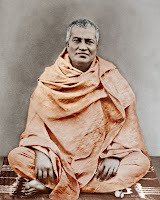 Then in 1880 or ’81, I heard about Sri Ramakrisha and went to see him in the house of one of his devotees in Calcutta. This was the time when Swami Vivekananda and those other disciples of Ramakrishna who afterwards renounced the world to carry on his divine mission, had began to gather round him. On that first day of my visit, I saw Sri Ramakrishna passing into Samadhi and when he returned to normal consciousness, he spoke in detail about Samadhi and its nature. I felt in my inmost heart that here was a man who had indeed realized God and I surrendered myself forever at his blessed feet. I have not yet come to a final understanding whether he was a man or a superman, a God or God Himself. But I have known him to be a man of complete self-effacement, master of the highest renunciation, possesser of the supreme wisdom and as the very incarnation of Love and as with the passing of days, I am getting better and better acquiented with the domain of spirituality and feeling the finite extent and depth of Sri Ramakrishna’s spiritual moods, the conviction is growing in me that to compare him with God, as God is popularly understood, would be minimizing and lowering his supreme greatness. I have seen him showering his love equally on men and women, on the learned and the ignorant and on saints and evincing earnest and unceasing solicitude for the relief of their misery and for their attainment to infinite peace by realizing the Divine. And I dare say the world has not seen another man of his type in modern times, so devoted to the welfare of mankind. Sri Ramakrishna looked upon name and fame with extreme disgust. His example and precepts deeply impressed on us the extreme insignificance of worldly joys before the ineffable bliss of God. He lived day and night in Divine ecstasy and Samadhi, which is so rare and inaccessible, was perfectly natural to him. It is no wonder, therefore, that the idea of a God-intoxicated man being intimate with the details of everyday life and instructing people thereon and yearning to remove the sorrows of men and women who approsched him with the tales of their worldly afflictions, should appear paradoxical and unnatural to those who had not witnessed his life. But we have seen innumerable such instances in his life. One Mani Mallick, having lost his son, came to Sri Ramakrishna with a broken heart. Sri Ramakrishna not only sympathized with him but also entered so deeply into his feelings that it almost seemed as if he were the bereved father and his sorrow surpassed Mallick’s. Some time passed this way. Suddenly Sri Ramakrishna changed his mood and sang a song which encouraged him to prepare for the battle of life. I remember how the father’s grief was assuaged by it. The song gave him courage, calmed his sorrow and brought him peace. To Sri Ramakrishna there was neither good nor evil: he saw that the Divine Mother abides in all beings, the difference is only in manifestation. He visualized the Divine Mother in all women and revered and addressed them as his own mother. By actually practising the doctrines of Hinduism, Christianity and Mohammedanism etc. he demonstrated the truth of all religions: he found his own realizations tallying with the descriptions of the different scriptures- the Upanizhads, the Bible, the Koran etc. and he declared that the Truth is One being called and worshipped variously by the various religions of the different countries of the world. I have seen many true seekers of God, professing other creeds, come to him to solve their spiritual problems. And it is by seeing him that I came to believe in the truth of such incarnations and prophets as Buddha, Jesus and Mohammed and feel their infinite mercy. He never objected to anyone’s spiritual mood or ideal. He helped all who came to him, rich and poor, learned and ignorant, high and low, to advance along the spiritual path according to their individual inclinations.